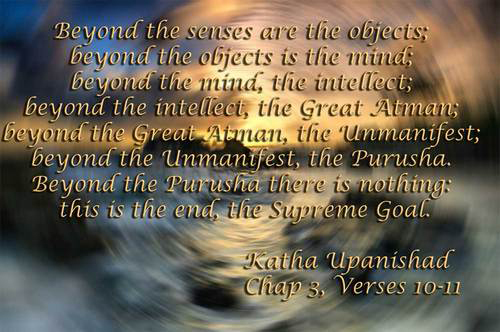 Note: To listen to the audio chanting of Purusha Suktam, please read my blog Mantras and Vedic Hymns - Listen to the Audio. Purusha sukta is hymn 10.90 of the Rigveda, dedicated to Purusha, the "cosmic man". No Vedic worship or Yajna can be performed without recitation of Purush Sukta. Among the great Gods of Vedas is Purusha (also otherwise known as Vishnu), the God among the great trinity in charge of the care of the created beings. Though the original Purusha suktha manthra occurs in Rig Veda, it also occurs in Vajaneya Samhitha of Shukla Yajur Veda, Taiteeriya Samhitha of Krishna Yajurveda and also with slight differences in Sama Veda as well as Atharva Veda. Purusha in this Suktham is described as a gigantic personality who is spread everywhere. Brhama the creator is supposed to have his huge body as a sacrifice so that he can create the world. Gathum Yagna pathaye. Daivee swasthi -rasthu na. And those inanimate ones that don't take food. And also born were those that live in villages.